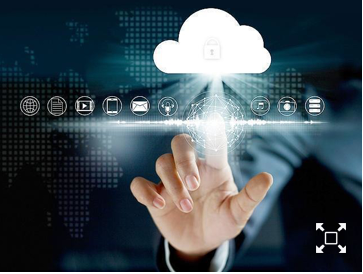 NxtGen Datacenter & Cloud Services Pvt Ltd (NxtGen), leader in cloud services, today announced it has collaborated with Hitachi Vantara to co-create a new Data Protection as a Service (DPaaS) solution powered by Hitachi Content Platform (HCP). 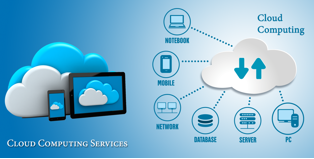 The NxtGen DPaaSTM offering addresses today’s enterprise data protection needs and compliance obligations by combining the advantages of on-premise storage and centralized cloud-storage infrastructure and delivering high-performance local data access and powerful data protection, recovery and archiving. Cloud infrastructure and business mobility leader VMware on Tuesday announced a partnership with Cloud Services provider NxtGen to offer solutions to enterprises across Public Cloud and on-premises data centers. Extending the data center network using VMware NSX, NxtGen's "VMware NSX" deployment can extend a customer's on-premise infrastructure, thereby enabling cloud bursting. VMware, Inc. and NxtGen Data Center and Cloud Services Pvt Ltd (NxtGen), an leader in cloud Services, announced a partnership to offer solutions to enterprises across public clouds and on-premises data centers, empowering enterprises with the flexibility to modernize their data centers, within the boundaries of governance. Together, they unveiled an expanded set of products and services as part of the NxtGen Infinite Data Center, which is delivered from NxtGen's data centers located across Mumbai and Bangalore. Bengaluru, Jan 23 : Cloud infrastructure and business mobility leader VMware on Tuesday announced a partnership with Cloud Services provider NxtGen to offer solutions to enterprises across Public Cloud and on-premises data centers. Bengaluru, Jan 23 (IANS) Cloud infrastructure and business mobility leader VMware on Tuesday announced a partnership with Cloud Services provider NxtGen to offer solutions to enterprises across Public Cloud and on-premises data centers. The companies unveiled an expanded set of products and services as part of the "NxtGen Infinite Data Center", which is delivered from NxtGen's data centers located across Mumbai and Bengaluru. "Service providers like NxtGen can leverage VMware technology to help customers from decreased time to market, reduced capital expenditure and lowered development costs to stay competitive," said Arun Parameswaran, Managing Director, VMware India. VMware and NxtGen have entered into partnership to offer solutions to enterprises across public clouds and on-premises data centers, empowering enterprises with the flexibility to modernize their data centers, within the boundaries of governance. Together, they have unveiled an expanded set of products and services as part of the NxtGen Infinite Data Center, which is delivered from NxtGen's data centers located across Mumbai and Bangalore. NxtGen enables its customers to adopt VMware technology to modernize their data centers, integrate public clouds and transform security. The VMware Cloud Provider platform, which includes VMware vCloud Director and VMware's Software-Defined Data Center (SDDC) solutions, helps NxtGen achieve operational efficiency by rapidly enabling and monetizing highly-scalable cloud environments. 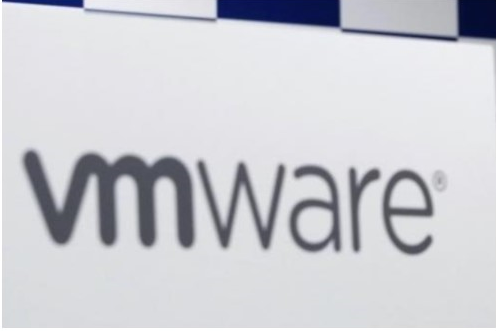 BENGALURU: Cloud infrastructure and business mobility leader VMware on Tuesday announced a partnership with Cloud Services provider NxtGen to offer solutions to enterprises across Public Cloud and on-premises data centers. Cloud infrastructure and business mobility leader VMware on Tuesday announced partnership with Cloud Service provider Nxtgen to offer solution to enterprises across Public Cloud and on-premises data centers. The Companies unveiled an expanded set of products and services as part of the "Nxtgen Infinite Data Center", which is delivered from Nxtgen Data Centers located across Mumbai and Bangaluru. Cloud Infrastructure and business mobility leader VMware on Tuesday announced a partership with Cloud Service provider Nxtgen to offer solutions to enterprises across Public Cloud and onpremises data centers. Extending the data center network using VMware NSX. Nxtgens "VMware NSX" deployment can extend a customer's on-premise infrastructures, thereby enabling cloud bursting.